In its continuous efforts to enhance the trading experience of its clients, Equiti places great importance on the measures it adopts to protect its clients’ capital. Recently, Equiti introduced its “Client Fund Insurance”; a feature that will enable the company’s clients to trade the global markets with a peace of mind, knowing that they are shielded from certain risks with adequate coverage. 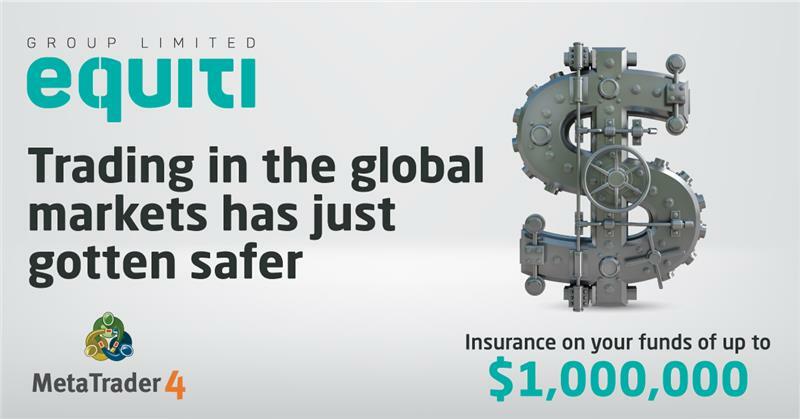 In addition to Equiti’s standard client protection features, eligible clients of Equiti can now benefit from the “Client Fund Insurance” that grants individual coverage of up to USD1,000,000 per client. This insurance policy is issued by a leading international company and comes at no direct cost whatsoever to the clients. As an added security feature, funds of Equiti clients are kept in segregated accounts. © 2014 Copyright FXHighway.com. All Rights reserved.